Kim and I moved to our new home in West Linn on July 1st. Although we're only 8.5 miles (and about twenty minutes) from the condo we owned in Portland, I haven't been back to our former neighborhood since we moved. Yesterday, I decided to spend a few hours hanging out at some of my old haunts. I stopped at the “pot shop” to pick up some sleeping aids. I bought Tally new chew sticks from the pet store. I spent half an hour browsing at the used book store for sci-fi classics. And I stopped to drink a glass of wine at the bottle shop. It was fun to be back in Sellwood once again, if only for a few hours. “We do and we don't,” I said. “Yeah, I can see that,” my friend said. “But I couldn't live where you do. I don't like to drive. I gave up my license three years ago, and I never want to get it back. I like being able to walk for everything.” She has a perfectly valid point. Driving home, I thought more about our conversation, about the differences between where we live now and where we lived six months ago. As an adult, I've had six different homes in 25 years: the small house in the small town, where Kris and I moved after we got married; the big house in Portland that she and I bought in 2004; the apartment in downtown Portland that I rented after our divorce; the riverfront condo I bought in 2013; the condo that Kim and I rented in Savannah, Georgia; and now this cottage on an acre of land outside West Linn. I've loved aspects of each of these places — but there have also been things I've disliked about each location. Advantages of the condo. Extremely walkable neighborhood. Extensive parks nearby. Great view of river and city. Direct access to city-wide bike path. Close to public transit. Lots of people to hang out with. Condo maintenance was generally hassle-free. Disadvantages of the condo. Dense vehicle traffic — even on weekends. Large vagrant population, including chronic drug use and increasing property crime. Expensive grocery stores. High fixed costs (HOA, property taxes) even though condo was owned free and clear. No place for pets to roam. Way too easy to opt for restaurants instead of eating in. At 1560 square feet, the condo felt too large. Too many people all around. Looking at that list of pros, it's clear that the best part of living in Sellwood was its proximity to everything. The two biggest downsides were the high cost of living and the population density. Advantages of the country cottage. Beautiful park-like setting just 25 minutes from Portland. Quiet yard and neighborhood. No issues from population density (traffic, homelessness). Fixed costs are much lower; so are discretionary costs. Room for animals to roam. At 1235 square feet, the house is smaller than the condo and feels more “livable”. Nearby multi-use trail. Kim and I both love the vibe of the home and property; this place feels like home to us. Disadvantages of the country cottage. Relatively isolated so little interaction with other people. Neighborhood isn't walkable for errands. (It's plenty walkable for pleasure and exercise.) No quick access to public transportation. House has required extensive renovation, and there's still more that needs to be done. Severe rodent infestation. 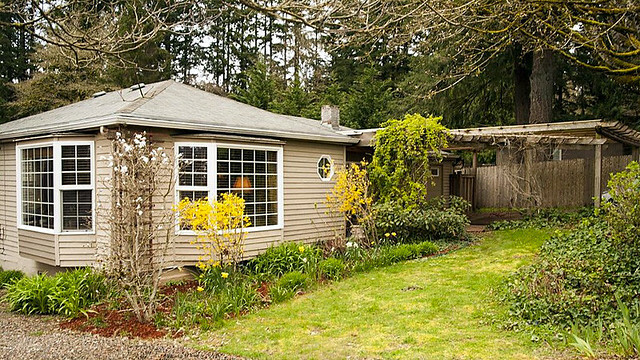 The two biggest advantages of living in West Linn are the lower costs and the increased connection with nature. The trade-off, however, is that we're farther from conveniences like grocery stores, gyms, and restaurants. We drive more often. The older I get, the more I believe that the ideal home doesn't exist. Not for me, anyhow. And not for Kim. Right. That would be awesome — but I'm still not sure it would be perfect. And it doesn't exist. If it did exist, it would cost a fortune. Everything is a trade-off. If you want land, you have to look outside of the city, which means you're not going to be in a walkable neighborhood. If you want a place with low maintenance, you're probably going to be in an HOA (for both better and worse). If you want someplace inexpensive, you'll likely be located farther from amenities. What am I giving up by making this choice? What am I sacrificing? What am I gaining? Are the compromises worth it? What else could I do with the same time and money? Are there options that appeal to me more? Kim and I decided that at this stage in our lives, we didn't need the easy access to bars and restaurants. We wanted a place where the animals could explore the outdoors, and a place where we could save money. We're happy with our country cottage despite the constant construction and the ongoing rodent infestation. What kinds of compromises have you made to live where you live? What did you give up? What did you gain? If you could design a perfect home and neighborhood, what would it look like? There are 20 reader responses to "There are pros and cons to everywhere". We moved out of the city to build our home. Advantage: it’s literally our dream home and I can’t imagine living anywhere else. We have incredible neighbors, the perfect house for us, and are never planning on moving. Downside? Driving. It wears you down no matter how much you enjoy your house, and it’s expensive. I’d definitely prefer to be within biking distance or walking distance. Yep, pros and cons. Right now, I’d be willing to get a smaller place that is designed better and closer to family (closest family is over 1k mi away). At this point given schools and taxes – outside Oregon. But the other half isn’t on board so we stay. For some reason was thinking you were in St. John’s vs Sellwood previously. And your post reminded me the kids might still have credit at Wallace they can use. Now we have a house on an acre of land, but we know few of our neighbors and can’t walk anywhere. Live and learn, I guess. I know whenever we move (probably in 2 years), we’ll pay more attention to walk-ability and neighborhood feel than we did with this house. I wouldn’t put that all on the neighborhood, I feel like a lot of it has to do with our cultural differences as well. Whenever I have traveled to places like Germany, Ireland, etc., I always feel like they have a better way of life. Work to live, vs. live to work. Makes me sad to come home. People are too busy working to buy stuff so they never have to walk next door and meet the neighbors. It’s also entirely possible that this is simply my perspective and situation, just a thought though. A perfect home to me would be as you hinted at – a mix of a “country-like” setting but still part of a community where you don’t need to drive everywhere. That’s a pretty tough geographic problem, but they do exist. Of course places like that tend to be ridiculously expensive though, so there’s that…. I have to say, as a fan of bay windows, I like your place for those alone. Those two windows look beautiful! The animals love the bay windows too. The cats like sleeping in them, and the dog likes using them as a base to bark at passers-by. Move to a rural Midwestern college town :) My house is an old detached foursquare built in 1910, plenty of “character”, 4 bedrooms, 1700 sq ft, purchased 5 years ago for under 200k. Smallish yard, but walkable to: all the restaurants, bars, city library, university library, university arts and culture including touring shows, movie theatre, elementary and middle schools, parks, city pool, bike path, basically everything. And safe enough that kids still wander the neighborhood to play with their friends. This is has got me thinking as we prepare to move from Seattle to Portland. I’m a Portland native and we’ve been away from Portland for almost all of our marriage (16 years), living on the East Coast and then Seattle. I was thrilled beyond words for the opportunity to move back. But now we have no idea where to live. I think part of the problem is that I know all of the neighborhoods too well. Other cities, we just found a nice neighborhood with good schools and we made it work. We also have two middle schoolers to satisfy and we really want to buy cash – which will be trickier now that housing isn’t so cheap in Portland. I’m definitely stuck on making it “the perfect move” but you’re right…it will never be perfect. Our perfect home is right where we are. It’s 1100 square feet and 96 years old; we’d like more than just one bathroom, but the kitchen is great for two or three to cook, and plumbing/electric/HVAC/insulation have all recently been upgraded. Our lot is about a quarter of an acre, with a brand new shed (on a concrete pad, with electric! ), and it’s fenced so the dog can play. We know and grill with all the neighbors on our block and most within the next few blocks beyond. We’ve got friends further out who put dozens of miles on their cars every day in exchange for the privilege of paying twice what we did for three times the house and no sidewalks. The schools are “better” out there, I guess, but I don’t understand one bit. Every time we’re out for a walk — weekly, at least — I turn to my wife and get all sappy about how nice it is to live here. You’re right, J.D. Everything is a trade off, every decision you make with your time and money throughout the day. Recently my partner and I thought we would “beat” the system by moving to a place which has more space but is still within the city. Big mistake. Turns out that it’s neither small town enough, nor does it give enough in city vibes and conveniences. Now we have two unhappy residents stuck in a one year lease. We should’ve picked what was most important to us rather than check off all the boxes in a half-hearted way. I like to live within biking distance of work. Having four kids and a growing accumulation of stuff. It is no longer possible to move every time I get a new job. So, I moved back to where I grew up about an 1 1/2 North from Phoenix. Now I have my mother to help with the kids. The weather is mild. I can bike many places but not all. We had a bobcat walk by our house and have deer, etc around the house. But, recently I lost my remote job. It took two months to find a new remote job – if I lived down in Phoenix I could have found one in a couple weeks. Now I have to drive down to Phoenix every other week for work and then I’m remote the rest of the time. So, in certain ways it is ideallic, but the job situation is tenuous. I save about half my paycheck and hope to be FIRE in 10 to 17 years. So, I’m also starting to try and figure out how to make side income to make my situation more stable. My ideal home would have a garage (I’m one of the few people that actually parks their car in their garage). But, FI is more important to me. So, I bought a larger home without a garage that would fit my family better. As the kids get older I will probably downsize. But this is a great home to have with kids. A “secret” passageway between bedrooms, great hill for sledding, etc. This subject speaks to my heart. Right now I have a house that checks off a lot of my list. I was lucky because it’s the first house I bought, in my 20’s, which I’m currently renting out. I could see myself retiring there (at least part time), or moving back in again. The house itself is small and vintage, but solidly built and updated. It has a great opportunity for an addition in the future. I would add a large family room, and designated mudroom/laundry room, which would connect the main house to the master suite (which is now a detached and defunct in law suite), located about 30 yards from the house. – within 30 min drive from a city, or at least live somewhere that traveling festivals or seasonal activities traditionally occur. Or if not near a big city, would be nice to have popular community activities available. I can always travel to visit big cities. I grew up in Florida and never saw snow before, but from what I hear (because I’ve never been there), Colorado has many of these types of places on my wishlist. I just don’t think I could deal with the snow, so I’d have to have a winter house back in FL lol. – to pay insane prices to live within walking distance to restaurants (no restaurant is worth it…not even 10). Even though I could pay for a big McMansion in cash, I’ve lived in a tiny condo for many years. I got the idea to live in a condo from Elaine St. James in her wonderful book called Simplify Your Life. I’ve enjoyed my condo well enough, but I miss having a garage (all I have is a carport, and my truck has been broken into even tho I live in the “safest” section of town). I also don’t like sharing so many walls with my neighbors. I feel self-conscious about noise and wear headphones to watch TV and stuff like that. I think one day I will move to a simple townhouse, where I have a garage and only share one wall, like the garage wall for instance. I really like townhouses, as they are kind of a hybrid of a condo and a freestanding house. JD welcome back man! I’m loving the new Get Rich Slowly with you at the helm. Nice implementation of the “spare change” section – I dig it! Can’t agree more with the post. There are pros and cons of every type of house, every location, renting vs. buying, etc. As I get older I think about the trade-offs of different locations more and more and I realize how important it is to “know thyself” and know what you really want. At 35 years old I still don’t see myself staying anywhere for longer than 5 years and my girlfriend and I plan to take a long trip in a little over a year so buying still doesn’t make sense. Perfectly happy to rent. But I’m a vagabond at heart. I liked living in North Seattle. My apartment was less than a mile from pretty much everything I needed: supermarket, library, drugstore, post office, movie theater, department store (Target) and Asian market. For medical appointments and such, I had three bus lines within a block. Now I live in Anchorage, Alaska. Stores are a lot less conveniently located and the city just re-routed the bus system so that the transit stop that was once half a mile away is now one mile away. (Not insurmountable, just inconvenient.) The city has fewer shopping options and everything is more expensive here. It’s also pricey to travel to and from the state. Yet I live near my BFF and my niece and her kids. The mountains are beautiful and the city is full of wildlife: black and grizzly bears, wolf packs, lynx and tons of moose (which we wish would stay the heck out of our yard and away from our vegetable garden). Having found midlife love was an astonishing bonus — and to make matters even more amazing, he’s as frugal as I am. We’re the happiest people I know, because we don’t mind spending on things that matter but also find joy in the everyday. Do I wish I lived closer to family and to friends in the Lower 48? Well, sure. Am I happy here? Definitely. The trade-offs are sometimes frustrating but always, always worth it. We live 5 miles from downtown Minneapolis in a townhouse we bought as a foreclosure 8 years ago. (We paid cash, about half the present market value). It wasn’t going to be permanent, but we find ourselves still here. It’s rather urban with stores and restaurants nearby. Everything we need is within a 2-mile radius, including the bus stop my husband uses to get to work downtown. Our taxes are $1500/year. We have good neighbors and “lock and leave” when traveling. We have done some work to make it very charming. The downside is it’s a little cramped when family visits, but we just roll with that and plan visits for the summers when we are on the go. I guess we now feel, if it ain’t broke, why fix it? We live in Jacksonville, Oregon. Small, quiet town, but highly walkable and enough to keep us as busy as we want to be. Wineries, music, hiking trails. We finally found the perfect mix of activity and peace & quiet. I’m so happy you’re blogging again! I gradually stopped reading after you left because I just didn’t find the articles as interesting or inspiring anymore. 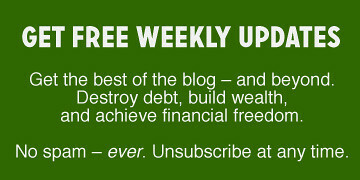 As I’m binge-reading your recent posts, I realized I also found you more relatable than many other personal finance bloggers. You were the first finance blog I ever read devotedly, and I love that you haven’t become some kind of arrogant, unrelatable, zillionaire like some other bloggers. What you described here is exactly what we’ve realized about our current home. Its certainly not perfect, but it’s good enough, and perfection doesn’t exist. My personal finance dream is to be able to afford a condo in a mountain town a few hours from here. After we pay off our home and retire, that might be possible. Then again, we might just decide to use that money to spend a month here, 3 weeks there, and so on. For us, that’d be pretty close to living the dream! We’re moving out of our townhouse and into a single family home, primarily to have a yard, garage, and some storage. Our main decision has been between two houses: 1) The larger one in the pretty neighborhood with a golf course view, where we can take walks in the neighborhood but nowhere else or 2) The slightly smaller house in the cookie cutter neighborhood where the houses are very close together, but where there is a community golf course, tennis courts, a pool, multiple playgrounds, and our favorite restaurant just a 15 minute walk away. We are going with #2. This post is so timely for me. My husband and I are fed up with the traffic and noise and intensity of the bay area. We are considering selling our house and moving to a place with a lower cost of living, where the money from our house would allow us to buy a home to live in, and a home for rental income. The challenge is that we have lived here for most of our adult lives and have an incredible community and support system that we value highly. It would be so difficult to give that up, especially as we age – we are in our early 50’s. I worry that if we moved away and one of us eventually grew ill or died, it would be more important than ever to have the support of our community.